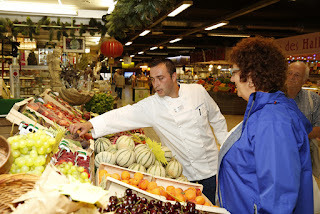 Shopping with a Scenci chef in France. When it comes to shore excursions for the gourmet, river-cruise companies are dishing up enough variety to make Captain River's mouth water. Guests on Scenic Tours can enjoy new ‘Scenic Sundowner’ moments providing evening cocktails in Europe’s most beautiful locations. The on-shore social soirees are held in places such as the vineyards of Austria’s Wachau Valley, a wine chateau in Saint-Émilion near Bordeaux, and a manor house in Normandy surrounded by orchards, where guests can sample cider and apple brandy. Scenic Tours introduces a new ‘Shop with a Chef’ activity this year on European river cruises. Guests join the ship’s chef and a local culinary specialist on a guided tour of street markets in destinations such as Bordeaux, Paris, Belgrade or Vienna. Guests dine on the produce on board that evening. The vineyards of Germany with APT. Among Uniworld’s foodie shore excursions for 2015 is a visit to a Brussels chocolate artisan and a tour of Doktorenhof Estate in Germany for a tasting of honey- and herb-flavoured vinegars. In Croatia, guests lunch on a local farm and learn how to make preserved vegetables and the speciality spread ajvar. Uniworld’s China program includes a dim sum lunch in Shanghai, a traditional dumpling and Tang Dynasty dinner in Xi’an, and traditional Peking duck in Beijing. 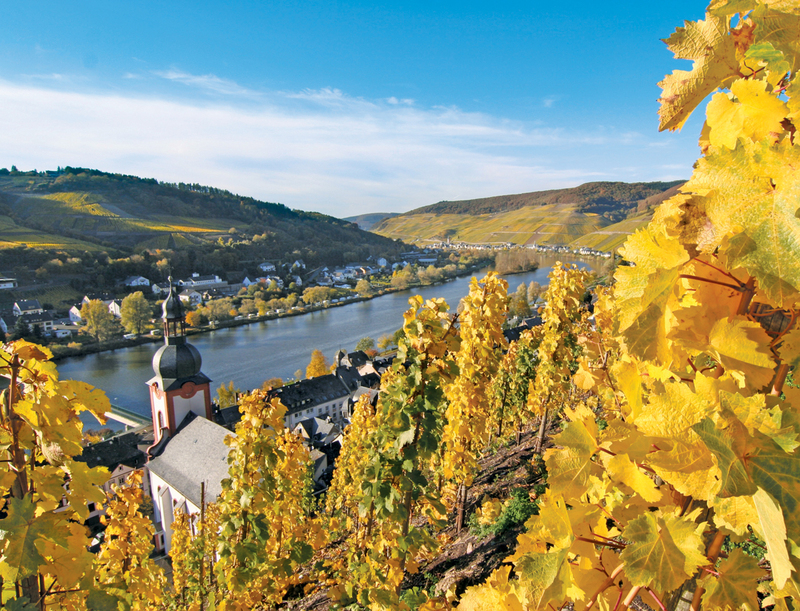 New ‘Insider Experiences’ for Travelmarvel bring passengers a traditional Bavarian Oktoberfest evening in Vilshofen in Germany, a lunch and wine-tasting at Nelahozeves Castle near Prague, and the chance to sample Black Forest cake while in the region on the Rhine. And among APT’s new signature experiences for 2015 is a gourmet dinner at L’Abbaye de Collonges (a Lyon restaurant owned by Michelin-starred chef Paul Bocuse), and a private tour of Grignan castle followed by a cocktail reception and tastings of regional produce. Tauck’s shore excursions might include demonstrations of gourmet cooking and pastry-making in France and cheese-making in the Netherlands. The company also offers a culinary-themed walking tour in Paris and beer tasting in Antwerp. Bon appetit! Captain Rivers thinks the mighty Mekong River might be the place for a river cruise in 2016, with more choices than ever before. Here’s what’s new. APT's new ship AmaDara on the Mekong River. APT has already introduced a second river-cruise ship on the Mekong, RV AmaDara, which joins sister ship RV AmaLotus on itineraries highlighting Vietnam and Cambodia, and culminating in the magnificent temples of Angkor Wat. AmaDara’s 62 cabins all feature twin balconies and will be located on the top three decks of the four-deck vessel. The ship will also have two restaurants, a swimming pool, fitness centre, spa and complimentary Internet. 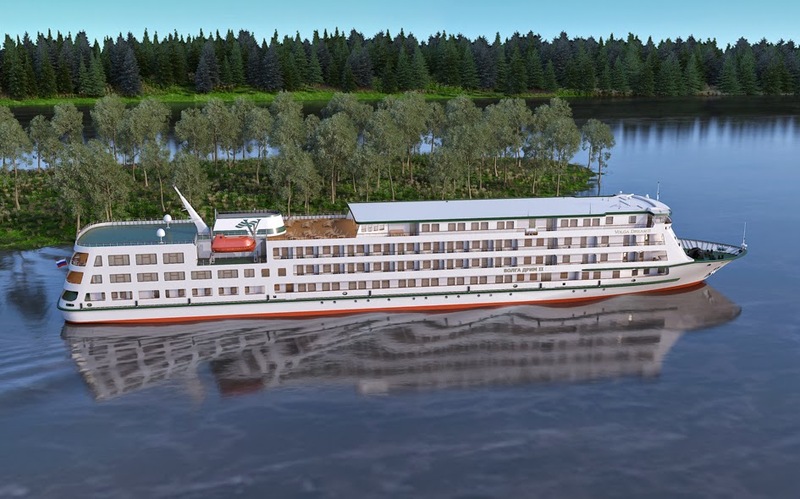 The new 38-passenger, 60-metre ship Siem Reap also splashes onto the Mekong River, and its cabins will have floor-to-ceiling, wall-to-wall panoramic windows that have retractable screen systems and doors that slide open to the balconies, and make the most of the passing scenery. The ship is a scaled-down version of Avalon’s European Suite Ships, though kitted out in contemporary Asian style. It’s compact enough to sail into both Siem Reap and Ho Chi Minh City, avoiding the long road transfers normally involved at either end of this 12-night river journey through Cambodia and Vietnam. Evergreen's new ship Mekong Navigator. 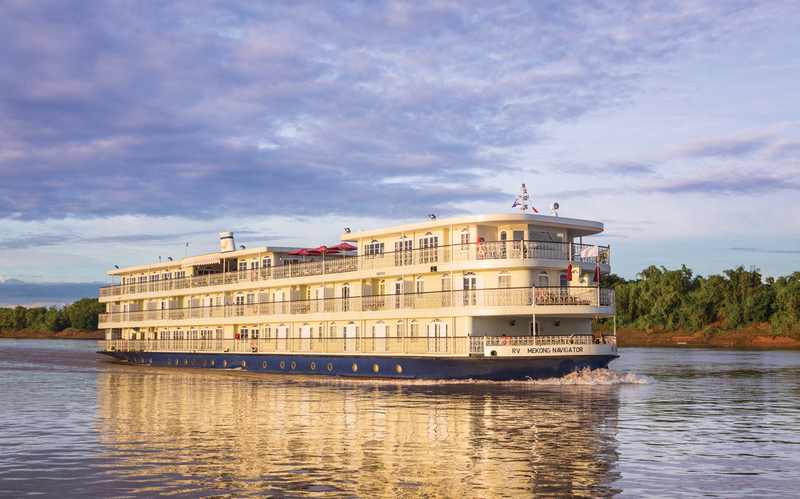 Evergreen Tours (or Emerald as it is known in the USA) has launched its first program in Vietnam and Cambodia, with tours centred around an eight-day Mekong River cruise on the new ship RV Mekong Navigator. There are 10 cruising dates between February 2016 and April 2017 which can be linked with on-land tours. Mekong Navigator carries 68 passengers and has a sun deck, spa, fitness room, library, lounge bar and restaurant. Tours vary depending on the cruise, but may include a water-puppet show, lantern-making class or cyclo ride through old Hue. For the first time, travellers can explore northern Vietnam on a 10-night river cruise that sails the Song or Red River delta and its main tributaries, including the Duon and Da rivers. 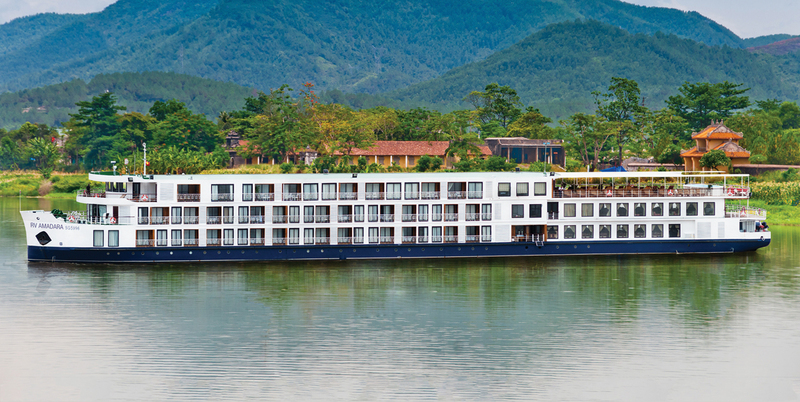 Pandaw River Expeditions’ new cruise on the RV Angkor Pandaw sails deep into the Vietnamese highlands and stops at mountain villages, ceramics and silk producers, ancient Buddhist temples and tribal areas along the way. Hanoi and Halong Bay, known for its limestone caves and spectacular rock formations, are also on the itinerary. 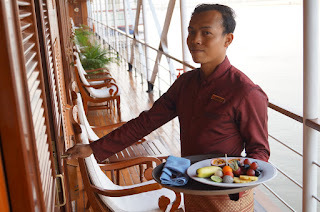 Service on board a Pandaw cruise ship. 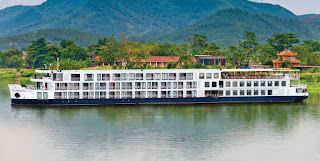 Pandaw also has a new Upper Mekong cruise from this November, mostly in Laos but touching on Thailand and Myanmar too. It departs from Vientiane on board RV Laos Pandaw and lays claim to being the only river-cruise to cross all of Laos. It includes two nights in Luang Prabang, with its sleepy pace and wood-carved monasteries, and heads into the mountains and gorges of the Golden Triangle, with stops at villages along the way, before ending at Chiang Khong in northern Thailand, a two-hour journey from Chiang Rai. Meanwhile, Scenic Tours’ Scenic Spirit launches on the Mekong River in January 2016 for eight-day journeys between Ho Chi Minh City and Siem Reap. Scenic says the 68-passenger ship will offer the largest all-balcony one-bedroom suites on the river, ranging from 32 square metres to 80 square metres for its Royal Panorama Suite, the largest suite on any river-cruise ship worldwide. Scenic Spirit will have four dining venues, pool deck and bar, spa, lounge, sun deck with open air cinema, and guest laundry. Get in before 30 April for early-bird offers. Cycling in Europe on a Scenic shore excursion. If the recent Tour de France has got you in the mood for a European pedal, then Scenic has increased the number of its cycling options on its ‘Freechoice’ shore excursions. There are now 27 self-guided cycling tours which passengers can do using one of 30 on-board bicycles carried on every ‘Space-Ship’ category river ship in Europe. Among the offerings is a pedal along a lovely stretch of the Austrian Danube between Melk and Dürnstein, or cycling along the Rhone River in France between Tournon to Glun, with views of the Alps and riverside vineyards. 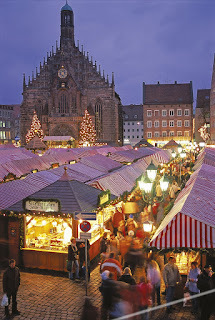 Christmas market in Nuremburg, Germany. And for something completely different, anyone hankering after a snowy Christmas – or at least a cold and light-twinkled one – then Scenic is offering Christmas-themed river cruises starting from late November. Its 15-day ‘Christmas Markets’ cruise between Amsterdam and Budapest takes in festive sights and sounds such as old towns draped with Christmas lights, shopping for gifts and decorations, and visits to traditional markets in Cologne, Rothenberg, Nuremberg and Vienna. There’s also a 16-day cruise for those who want to spend Christmas Day itself (as well as New Year’s Eve) in Europe. Sounds like just the reason to be jolly. APT and partner company AmaWaterways have also just christened their newest European river ship, the 164-passenger MS AmaSerena, in Germany. It follows the earlier christening of sister ship AmaVenita. In a nod to the growing multi-generational market, the ship features the line’s first-ever connecting staterooms. Guests on board the new ship will also enjoy salon and spa services, multiple dining venues (including The Chef’s Table restaurant), an intimate wine room, fitness room and a heated swimming pool with swim-up bar on the expansive sun deck. AmaSerena will sail on APT’s Royal Collection cruises. 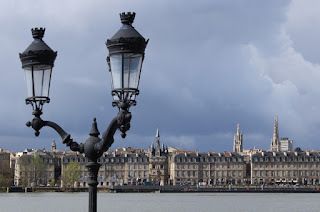 The riverfront in Bordeaux, France. In other news, APT has rolled out its journeys in France for 2016, and there’s plenty that’s new and interesting, including five itineraries from its debut in the Bordeaux region and new combinations that link it to other cruises on the Seine and Rhône rivers or Spanish land journeys. Also new for 2016 is the 21-day ‘Charms of Southern France’ from Paris to Monte Carlo, offering a more in-depth cruise of the Rhône and Saône rivers, which take in the Burgundy and Beaujolais wine regions as well as Provence further south. Captain Rivers brings you some updates on what's new in 2015 for some smaller players in the cruise-company business. Artist's impression of Volga Dream II, Russia. This British luxury travel company made its reputation with safaris. River cruising is a modest part of operations, but supplies top-quality experiences in interesting locations. Australian-owned travel agency Active Travel doesn’t own ships, but specialises in Asian river cruising, especially from always-interesting Pandaw River Expeditions. New ships: Kha Byoo, currently under construction in Myanmar, launches late this year or early next year. The 10-cabin ship’s shallow draft enables it to sail the Chindwin River year-round. American Cruise Lines ship, USA. 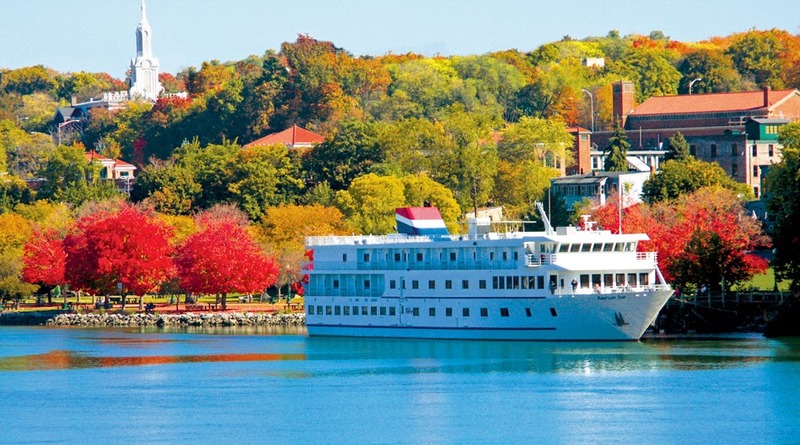 This highly-regarded small-ship company operates in the US on the Mississippi (where it has new gourmet- and jazz-themed itineraries for 2015) and Columbia and Snake rivers. New ships: New paddlewheeler American Eagle offers various week-long itineraries on the Mississippi River in 2015. A new ship on the Columbia may follow. 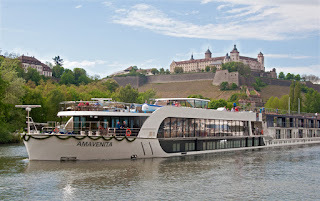 Another Australian travel agency with river-cruising expertise, Beyond often uses Amadeus ships owned by Austrian-based Lueftner Cruises. New for 2015 is a cruise-tour between Budapest and Prague. 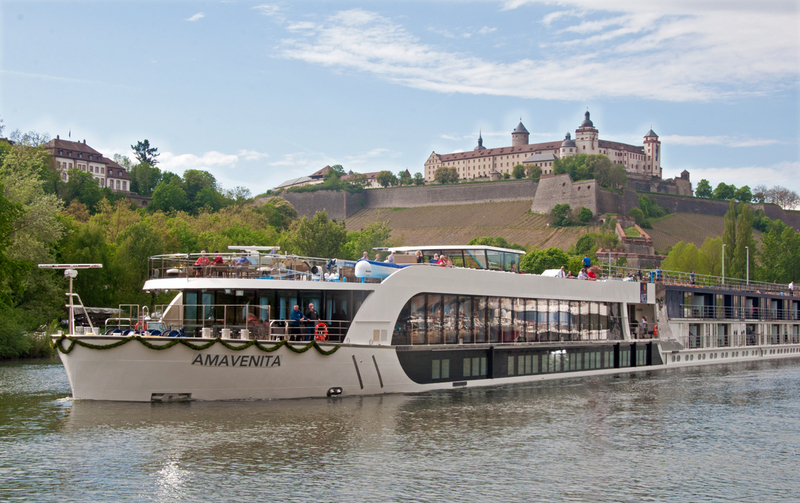 New ships: Amadeus Silver II arrives in 2015 on the Amsterdam-Budapest route. The new vessel features sundeck with bar, putting green and walking track. 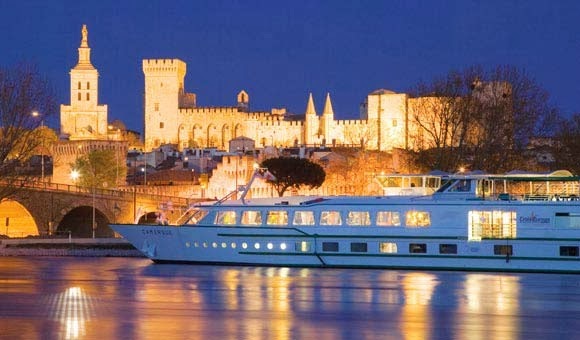 CroisiEurope ship on the Rhone River in Avignon, France. This eco-friendly French-owned company is the biggest river-cruise operator in Europe, but not yet widely recognised in English-speaking countries. It offers a huge range of cruises, with French and English used on board. New ships: Gil Eanes on Portugal’s Douro River, Rhone Princesse and (in a first for any company on the Loire River) Loire Princesse. The America family-owned company, launched in 2006, is a relative newcomer, but among the best for consistent quality and service. Airport transfers and pre- and post-cruise hotel stays are inclusive. New ships: MS Esprit joins the fleet on the Amsterdam-Budapest route. There’s also a new family cruise on the Rhine, and a new 23-day trip linking cruises on the Rhône and Seine with London and Monte-Carlo. Travelmarvel started in 1980s Melbourne in Australia, expanded worldwide and was sold to APT in 1996. Expect to hear more from the budget-conscious brand as it expands. New ships: RV Rajmahal starts on the Ganges. MS Sapphire begins full service on Amsterdam-Budapest cruises and the refurbished MS Excellence Queen sails the Rhine.